UC&C-Does one size fit all? Today, flexibility at work is one of the most important factors contributing to job satisfaction, according to the U.S. Bureau of Labor Statistics. The agency reports 20 million Americans actively choose to work part-time for more flexibility. Most believe part of that growth also comes from millennials, who now make up 30 percent of the workforce, who indicate flexibility at work is a significant priority (Source: Inc.). The idea is that more flexibility at work provides a more desirable work-life balance and as a result, this produces a higher quality of life and more productive, happier employees. While flexibility at work means a lot of different things to a lot of different people, the underlying theme revolves around individuals wanting the ability and support to work from anywhere and at any time, when it’s in harmony with their own schedule. This could be in the form of flexible workspaces, remote working options or flexible hours. To provide this level of flexibility at work, enterprises are looking to Unified Communication & Collaboration (UC&C) platforms and applications that empower the mobile and connected worker. So, the million-dollar question for enterprises and SMEs alike, is does one UC&C platform fit all? And, will it really provide the flexible work environment we all crave? While the short answer may be no, looking deeper into the UC&C market, there’s more to the story. Despite some growing pains, business leaders today see unified communication and collaboration platforms as one of the best ways to cost-effectively optimize business communications across the enterprise. To see how this technology might impact organizations of all shapes and sizes, let’s dive into a couple of key considerations. Similar business objectives, different scale - Whether an organization has five employees or 500, employers are looking for the same thing when it comes to UC&C technologies. They want a productive and connected workforce that is empowered with communication tools that help them focus on the task at hand. That could include enterprise-grade business phone services, access to simplified virtual meetings, video conferencing, mobile apps, whiteboarding capabilities, etc. It also includes giving employees access to these tools whether they are working remotely, from home, or they are mobile, anywhere across the globe. TCO is a top priority for all - Leading organizations of all sizes have an eye on the bottom line and TCO when it comes to technology. UC&C platforms help lower TCO because they shrink the high operating and capital expenses of out-of-date, wired technology. Most UC&C solutions today also let companies adopt a pay-as-you-go model, which is more cost effective. Streamlined access from any device - Unified communication and collaboration systems fit into today’s global and mobile work environment because they ensure a consistent user experience across all communication channels. This means whether employees are working remotely or on-the-road, they can have access to all the productivity and communication tools they need to be productive. 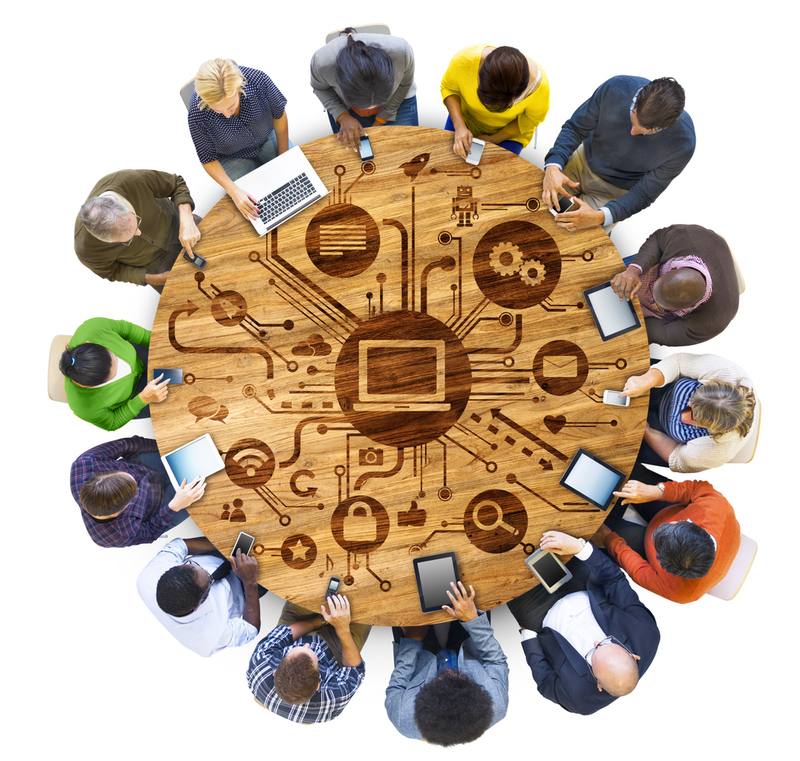 UC&C systems offer a unified platform that’s centrally managed and accessible by employees. For instance, VoIP phones and mobile apps are used on smart phones, laptops and tablets for secure communication through voice, text, audio conferencing, online meetings, etc. For example, if a customer places an order online, and wants to modify that order by calling customer service, they may still want an email confirmation of that change and a text message alerting them to the new delivery schedule. Whether an employee is working at a remote contact center, or from a home office or coffee shop across the globe, that account manager should be able to manage that situation intuitively and quickly as if they were working from the corporate office. That is achieving job satisfaction and delivering an excellent customer experience− all empowered by a UC&C platform. UC&C-as-a-service is universal - With UC&C-as-a-service, communication and collaboration tools and applications are delivered by a service provider through a cloud-based model. These services offer extreme flexibility because the provider manages the hardware, software, maintenance and monitoring of the services. They are also faster to install because the infrastructure is deployed and maintained offsite. Organizations of all sizes can benefit from centralized management capabilities which allow IT to make system-wide modifications, with proper privileges, and employees to ‘self-serve’ and customize service options—without the need to involve IT in every request. When delivered through a cloud-based platform, businesses can often link into popular business applications with built-in integrations to popular applications like Salesforce, Dropbox and Google. Many platforms also offer analytics capabilities to see real-time data and trends across the business. A startup might use these insights to track customer trends and habits and add resources as needed. An enterprise might use this data for R&D or to respond to new business opportunities more quickly than ever before. A centralized platform and built-in integrations also reduce the dependence on internal IT teams, which leaves them free for other priorities. While not all unified communication platforms or business requirements are the same for SMBs and large enterprises, they generally run in parallel. UC&C platforms have emerged as a significant game changer in their ability to transform employees into a connected and productive team regardless of the size of the organization. Today’s premium UC&C platforms and those offered as a service, are extremely modular, meaning they can scale to sync with the size and priorities of an organization. This gives companies a significant advantage in delivering that coveted sense of workplace flexibility, while delighting customers along the way.